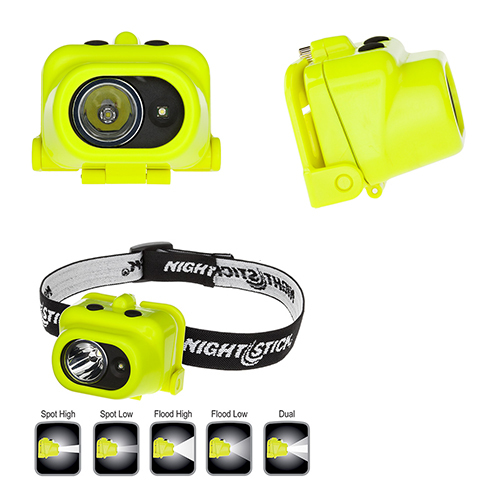 INTRINSICALLY SAFE MULTI-FUNCTION DUAL LIGHT HEADLAMP | Pro Chem, Inc. 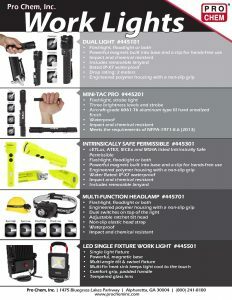 This headlamp is cETLus, ATEX, IECEx and INMETRO listed Intrinsically Safe. It features a multi-position tilt head design and includes an elastic head strap with a non-slip lining and a heavy-duty rubber head strap for use on a hard hat. The dual, top-mounted switches provide user-selectable high or low-brightness spotlight, high or low-brightness floodlight operation and dual light.